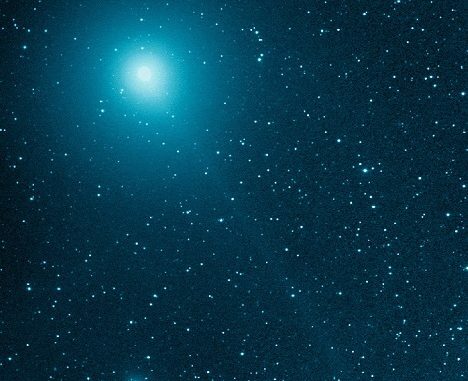 Long awaited naked eye comet 46P/Wirtanen has finally reached a respectable altitude and brightness. At the time of writing the comet resides in the constellation of Eridanus at a magnitude of 4.5 (approx.) with a short tail approximately 8 arcmins in length and elongated coma. [Update: Now in the constellation of Taurus at magnitude +4]. The comet will rise higher as each night passes until reaching the constellation of Taurus where the icy rock will reach perihelion on 12 December followed by closest approach to Earth on the 16th. At this point, the comet will reside roughly between the Pleiades and Hayades star clusters and is predicted to reach magnitude 3.5. How easy 46P will be to spot with the naked eye is still up for debate. Despite being an exceptionally close approach to the Earth, the comet’s nucleus is quite small. From the Earth, the comet is predicted to appear diffuse in the sky. The prediction of a bright magnitude does not necessarily mean a visually bright object to the naked eye. This is because the brightness measurement is spread across the full extent of this diffuse object. Another complication will be the Waxing Gibbous Moon which will hamper observations around the time of Perihelion and closest approach. YAHOO! Comet Wirtanen the Christmas Comet marks the 6th comet I’ve observed in 2018. That’s the most that I’ve seen in a calendar year. As of December 29, I’ve seen Comet Wirtanen 14 times.